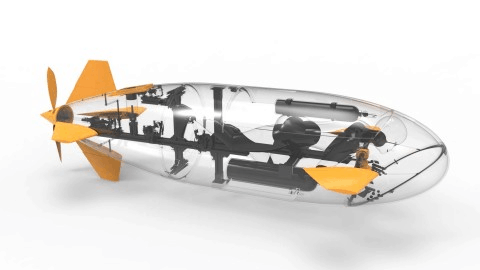 A group of six engineering students at The University of Warwick have built a submarine comprised of 3D printed parts. The Godiva 2™ is designed to race at the European International Submarine Races in Gosport, from 6th to 15th July. With the use of FDM-based technology the team were able to produce durable components with the Stratasys Fortus 3D printer. The students integrated a number of 3D printed internal and external components, designed to withstand outdoor conditions with maximum performance. Using the Fortus three-dimensional printer, the Warwick Submarine team were able to produce the final manufactured parts 90% faster than using conventional methods, while saving close to £3,000 in costs. As winners of last years Award for Innovation at the European International Submarine Race, this year the team chose to use Stratasys 3D printing not only in prototyping their submarine components but for producing final production parts. The students used a Fortus 3D printer to be cost-effective, time efficient and innovative, and to be the best by incorporating Stratasys advanced materials. The fins, feet, the propeller shroud and blades, as well as a number of fixings, housings and internal steering components have been manufactured with ABS-M30 production thermoplastic which offers tensility, strength and environmental stability. 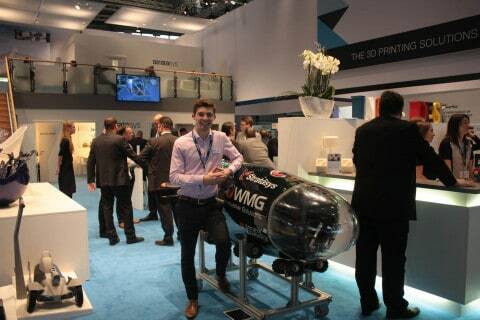 Warwick Submarine teams Project Leader, Josh Dobson, considers the Fortus 3D printer integral to the construction of the submarine in time for the race, as well as reducing costs so that they remain within the universitys budget. In its fourth year running, the academic project challenges final year Masters engineering students to build and race a human-powered submarine at the annual European International Submarine Races. The project involves designing and manufacturing the submarine, under the supervision of WMGs Dr Ian Tuersley, in their pit area within WMGs Engineering Hall. “The material development over the last few years at Stratasys has been integral to the evolution of 3D printing from beyond solely a prototyping tool right through to where we are today; 3D printing parts for direct use on our submarine,” continues Dobson. All the parts were produced from ABS-M30, apart from the propeller blades which were 3D printed by Stratasys in the USA. These are parts that can perform in the harshest waters, which is incredible given the speed and cost at which they can be produced. The team of six students, nicknamed WarwickSub, derive from a variety of disciplines that include both mechanical and manufacturing engineering. In addition to this academic project, the students spend a significant amount of time engaging and encouraging other students to select science, technology, engineering and mathematic (STEM) disciplines in the future.